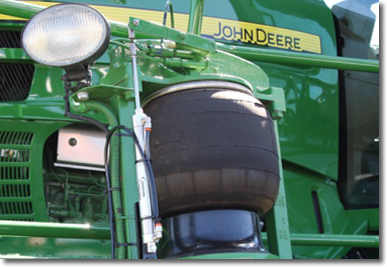 This pneumatic lift kit provides an additional 5” of ground clearance on demand. A switch allows the operator to select between the stock ride height and the lifted height from inside the cab. 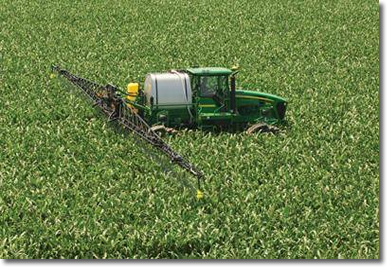 This provides a “field mode” and “road mode” to utilize the stock ride height and while travelling to and from the field and also gain up to 5” of additional ground clearance for field applications. 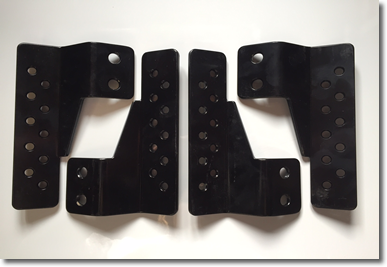 These brackets can be installed and removed in minutes. These manually adjusted Lift Brackets are a direct factory replacement to the stock air bag linkage mounting bracket. By using the various linkage mounting holes the stock linkage can be used to adjust the ride height of the machine to gain up to 5” of additional ground clearance. The bottom hole maintains the factory ride height while the upper holes allow options in 1/2” increments, allowing you to fine tune the stance of your machine.